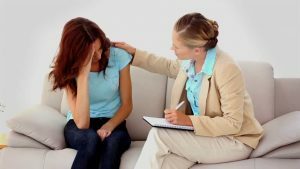 I started to see a psychologist when my oldest child was 14. I saw that psychologist, Pam, for 21 years. I would have seen her longer except that she retired six years ago. I feel absolutely no stigma in reporting this. I am not ashamed that I sought such help, in fact, perhaps I am boasting. I am very fortunate that for all those years I had a paid professional friend to help me through the ups and downs of life. Pam was great. Yes, she helped me climb out of a couple of emotional black holes I managed to fall in through the years, but for the most part, there were no black holes. She just helped me deal with ordinary stresses, even though mine has been a privileged life. My presenting problem was not that my child was into drugs or alcohol. Nor was he flunking out of school or hanging out with a gang. My problem was that he often needed a ride home from the mall just as I, a stay-at-home mom, needed to cook dinner. Of course, it always meant going out into rush hour traffic. It drove me nuts which of course is ridiculous in retrospect. Apologies in place, I will defend myself for being stressed in spite of being very fortunate. Toward this end, I share a report I once heard on NPR about having enough money in America. The reporter started out interviewing a family in a middle-class income level and moved up and up through various income levels until he reached a family earning a million dollars a year. Guess what? At every level the family was stressed out as it struggled to pay for all they felt was essential in life. Granted, at the lower income level money for room and board was a stressor while at the million-dollar mark boarding the horses was at stake. Nevertheless, all felt stress. One of the things that I have learned about life is that having every thing is NOT equal to having everything and that being privileged does not make you immune from unhappiness. The recent suicides of Kate Spade and Anthony Bourdain teach us this. It’s a fact: in every life there are hiccups in happiness. What to do? I advocate seeking professional help as needed. In my own case, there were times I saw Pam weekly, and times I saw her monthly, and times I just checked in with her every couple of months. There were also times when I thought I was done with counseling but she disagreed. And there were times when she thought I was done with counseling but I disagreed. And then 21 years later she retired and I am handling things just fine on my own. Of course, after all the years of this unique friendship, her voice echoes in my head and guides me still. Recently I saw a cute Bag Tag by Suzy Toronto. It says, “New shoes…cheaper than therapy and a whole lot more fun!” I chuckled and let out a sigh of relief that I am in a stage of life that new shoes can cure the blues. But rest assured that if this form of therapy should stop working I will phone my internist to get a referral for the real deal! Lorie, I could write volumes in response to your blog…..As for the present time, “If you don’t understand my silence…..you will not understand my words….I am drafting my response which I will send to your E-mail address.